"CS would not be conceivable without the strong domestic market"
An end-of-year discussion with Urs Rohner, Chairman of the Board of Directors of the Credit Suisse Group, about the growing significance of the Swiss market, the improved perception of the financial center, and the right balance between rules and self-accountability. Daniel Ammann: Mr. Rohner, the new strategy you announced in October seems to direct the focus of Credit Suisse back to Switzerland. Urs Rohner: That's right. After increasing our involvement abroad in the past, we will work toward a targeted expansion of our presence in Switzerland in the years ahead. I am convinced that Credit Suisse would not be conceivable without the strong Swiss domestic market and, at the same time, Switzerland would not be the same without Credit Suisse. Next year, in fact, we will have successfully operated here for 160 years, and we are deeply committed to our success as Switzerland's first bank for entrepreneurs. There are many reasons for us to increase our involvement and that is what we intend to do. We have designated 400 million francs to be invested in Switzerland, in areas including expansion of our workforce, compliance and not least in digitalization. Overall we would like to contribute more locally – for our customers and our employees. The results of the Credit Suisse Worry Barometer this year are very positive with regard to the financial center. Nearly one in five of Swiss respondents consider the banks to be one of the country's strengths – the highest point since the financial crisis began. What do you make of this? It is great to hear that the involvement of the financial sector is resonating positively with the public. In fact, our financial community has overcome some challenges, be it legacy issues in private banking or the comprehensive "Too big to fail" regime for systemically important banks. Most institutions have also invested in innovation and new technologies – we are looking to the future and preparing our business for new customer needs. The significant improvement in perception of the financial center is an important sign that we are on the right path. But it is still no reason for complacency. In terms of the culture of the industry, for example? Last year, behavioral economist Ernst Fehr came to the conclusion that the banking industry is marked to some extent by the wrong values. I fully agree with Professor Fehr: It is important to communicate and practice clear values within the company. This applies to banking as well as to other industries. If I remember correctly, with this study, the University of Zurich suggested that the business culture for bank employees could lead to dishonesty in certain areas. However, it would be quite an overstatement to apply this conclusion to the entire industry. Are internal rules of conduct sufficient? Finding the right balance between rules and personal responsibility is crucial, especially when the goal is also to promote the commitment of the employees. Rules of conduct are the prerequisite, but still far from a guarantee of success. In my view, the influence that a corporate culture has on individuals cannot be underestimated. It is the job of management and the Board of Directors to define and consistently model the right values and behavior. Innovative technologies can be used in the company to detect any possible deviations from the desired code of conduct. But, as I said, a certain degree of accountability at the individual level is essential, and we actively promote this. Yet the trend seems to suggest things are moving in the other direction – there are more and more laws and regulations. Regulation can certainly be necessary, especially for determining the latitude of industry stakeholders. It becomes difficult, in my opinion, when the regulations are so detailed that they are nearly incomprehensible or, once implemented, they come into conflict with other rules and standards. In principle, though, regulation – particularly in banking, but in other sectors, too – creates a certain level of security for investors. On the other hand, the resultant sharp rise in operating costs has a negative impact for companies. Against this backdrop, what do you think about the idea of the Swiss Financial Market Supervisory Authority (FINMA) to provide regulatory assistance to FinTech start-ups ? I believe that, regardless of the industry, innovation is among the most important drivers of competitiveness and growth, and it has to be encouraged. There is no question about that. I can't speak to the effectiveness of easing existing legal regulations, for example in the area of money laundering controls. That is for the regulatory organization to decide. I would certainly be happy to see more innovative start-ups in Switzerland; this would be advantageous for the financial center and ultimately for customers. Outside of Switzerland, where are the young, innovative minds? Silicon Valley in California is still the leader by far when it comes to creating and supporting start-ups. Interestingly, as the result of a targeted cooperation between politics and industry, London has become the second most important location for FinTech start-ups. I would like to see similar successes in Switzerland. Our financial center could certainly benefit from more new ideas and talent. Let's talk about the future: An extraordinary General Meeting is now behind you. What's next? Yes, we implemented a significant capital increase a few weeks ago. The next step is to allocate the capital among our business areas. This means that the wealth management business and the most important growth markets will have more available capital in the future – this will reinforce the effect of currently-known measures. These changes are designed to achieve sustainable, profitable growth and a measurable added value for our shareholders, which will also become evident over the course of time in our distribution of dividends. 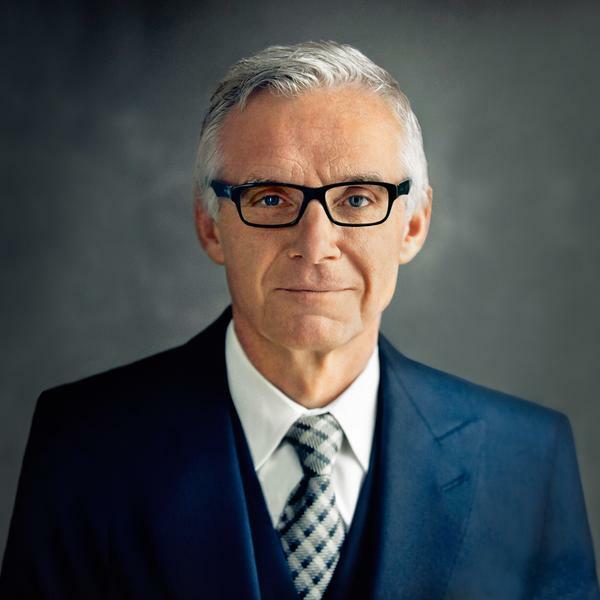 Urs Rohner (56) is the Chairman of the Board of Directors of Credit Suisse Group. He previously served as COO and General Counsel on the Executive Board of Credit Suisse. Urs Rohner has four children and lives in Küsnacht.